3.5" tall, 3.25" diameter (may vary), Weighs only 4 oz. 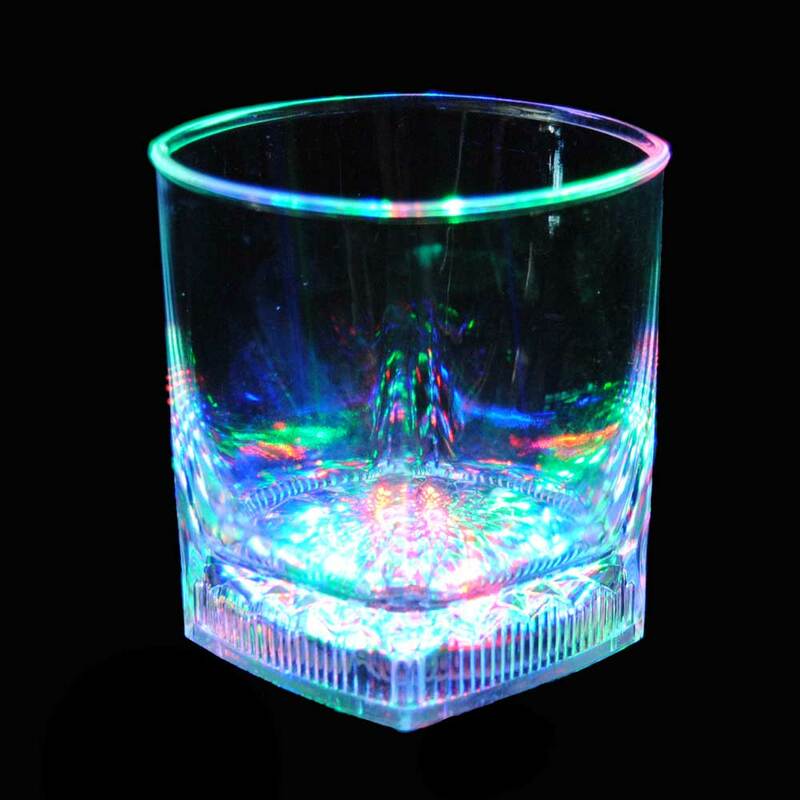 First there were party drinks, then there were body lights (blinkies), now we bring you our 8 oz LED Light-Up Rocks / Whiskey Glass, (part of our Light-Up Barware collection,) the ultimate light-up party and bar favor! 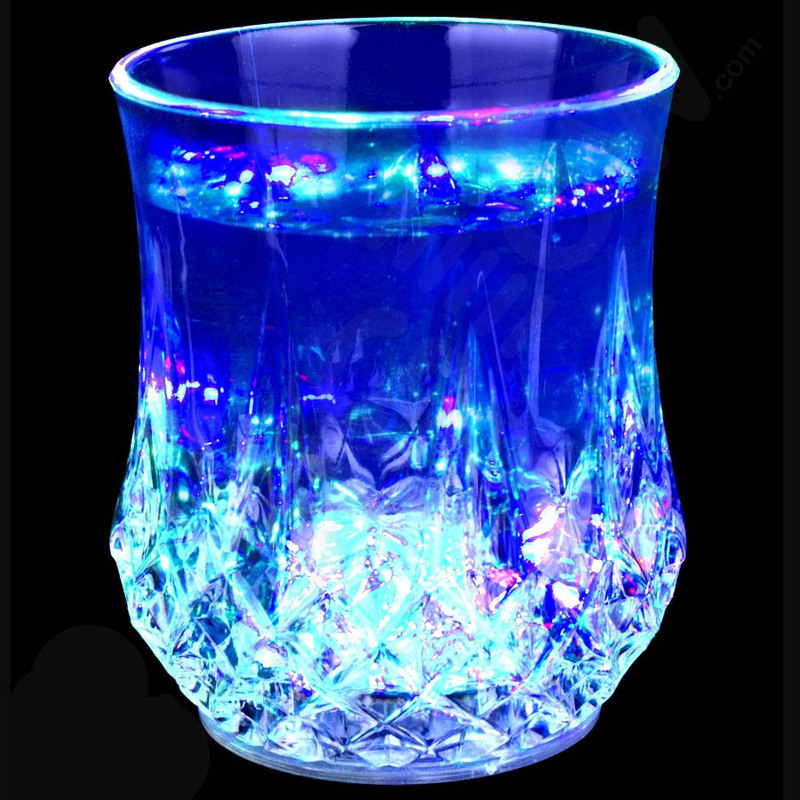 Imagine holding a luminous drink cup in your hand, where the whole cup, and the beverage inside, illuminate with many colorful lights! 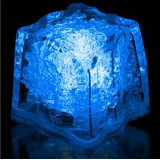 This light-up 8 ounce glass is made of a high quality, safe, clear acrylic, with replaceable batteries. 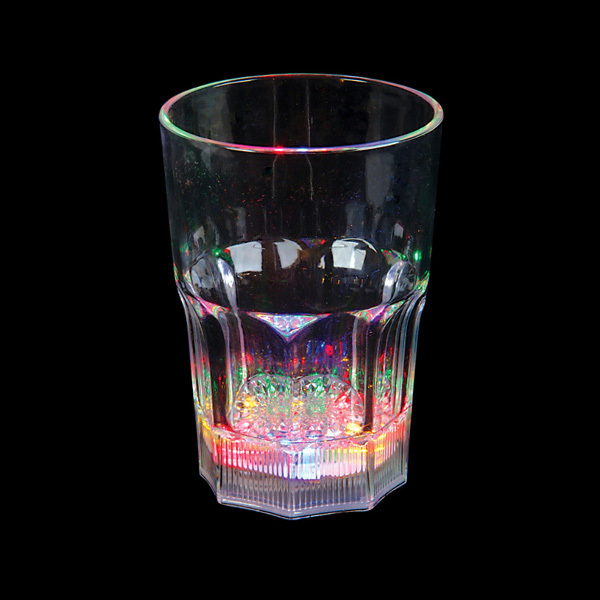 Six color LEDs, two red, two blue, and two orange, light up the entire glass and the beverage. The color lights flash randomly. 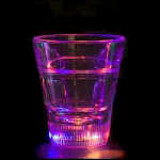 This super-bright LED Drink Ware Flashing Rocks / Whiskey Glass is sure to liven up any party or event! These will be the talk of the party and a must for every party goer! Blinkie lights help identify your drink at the party or at the bar, as well as provide a valuable safety beacon at an outdoor event! Get one for everyone in your group! The perfect playa cup. Holds a variety of beverages. Blinkie lights help identify your drink in the dark, as well as providing a valuable safety beacon at an outdoor event! Get one for everyone in your camp at Burning Man festival! Easy to replace button style batteries are included and pre-installed, and will make this cup last for a long long time. The bottom cap which houses the electronics pops off for safe and easy cleaning of the cup, and making it dishwasher safe. 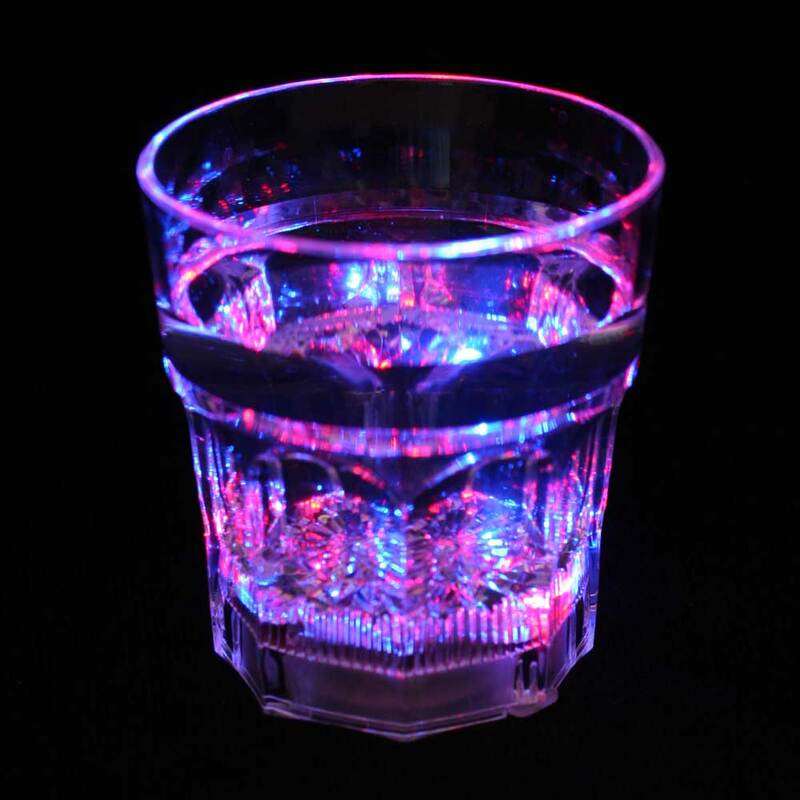 These super-cool LED Beverage Cups make great gifts for any occasion or party goer, and are great for that hard-to-shop-for party person. If you're looking for a really cool gift, look no further!